Manila, Philippines - Presidential Spokesperson Edwin Lacierda on Wednesday released statement regarding quake donation scammers who are taking advantage after the catastrophic magnitude 7.2 earthquake at Visayas region particularly in Cebu and Bohol. Help Bohol quake victims now. But, beware of scammers! Lacierda said they have received reports of individuals soliciting monetary donations for the benefit of earthquake victims in Bohol and Cebu who are claiming to represent both Secretary Ricky Carandang and himself. Cebu and Bohol were the hardest hit provinces. 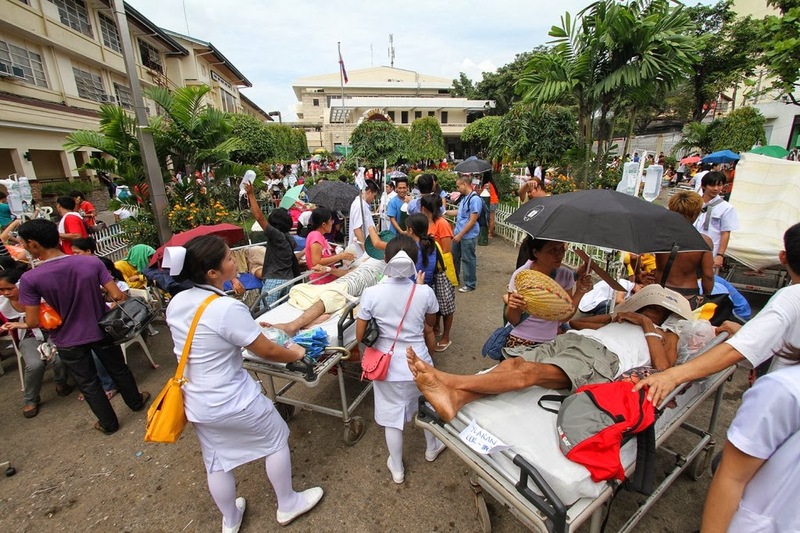 The respective local government units (LGUs) already declared a state of calamity in the two provinces. "This is a spurious and shameless attempt to capitalize on tragedy for personal profit and greed. We call on those who have received such messages, or those who are to encounter these individuals, to please contact my office through email: spokesperson@malacanang.gov.ph; or telephone: (02) 7360719. ", Lacierda added. Meanwhile, if you'll be giving to an open relief donation centers, ask the organization or individual receiving the deposit for an acknowledgement receipt and how they intend to spend the money. Ayala Foundation - Online donations from US-based and local donors are accepted. Philippine Red Cross - accepting donations in different forms, including PayPal, Cash, Check, Bank Deposit, or in-kind donations. You may check the Philippine Red Cross donations page for additional details. OPLAN BANGON BOHOL - a team of Boholanos from Manila, Cebu and Davao working as one to rebuild Bohol, are now accepting donations. For cash donations, you can deposit it to this account: Bank: Chinabank, Account: Association of Young Boholano Professionals in Metro Manila, Inc., Savings Account #: 120-129009-0. Petron Corporation - activated 500 Petron stations nationwide to accept donations for the earthquake victims. Look for the SAGIP ALALAY sign. Gawad Kalinga Cebu - has activated Operation Walang Iwanan for Bohol. Drop off points: GK Cebu Office at the old DOST Office in Banilad beside NFA and Human Nature Office in Bohol near the Tagbilaran City Port. University of Cebu - accepting donations for the victims of the earthquake. Drop off point: University of Cebu Banilad campus. For cash donations from abroad or other parts of the country, here are the details: Account name is University of Cebu, peso account no. is 2420075 958. For inquiries you may also call UC Banilad +63322338888. In the updated reports, death toll hits 151 as more bodies found in Bohol by the search and rescue. Chief Superintendnt Danilo Constantino, director of the Central Visayas police regional office said said nine fatalities were also recorded in Cebu province and one in Siquijor. Philippine Institute of Volcanology and Seismology (Phivolcs) and the United States Geological Service(USGS) recorded the quake that struck at 8:12a.m Tuesday, October 15, 2013 from two to five kilometers southeast of Carmen, Bohol. The quake struck at a depth of about 35 km (22 miles). Reports say that earthquake was felt in different areas in Visayas and Mindanao. Intensity VI felt over Hinigaran, Negros Occidental, intensity V in Iloilo, City, intensity IV in Masbate City and intensity III in Davao City.